Web-start.org is a browser hijacker that can alter your preferences in all of your web browsers. Its About page states that Web-start.org is positioned as one of the global leaders in online traffic generation. It is clear that the hijacker aims at promoting its sponsors. Unfortunately, for you as a computer user that is not useful at all. It is actually quite the opposite, because you will see various ads and sponsored links in your browsers. The hijacker is compatible with all well-known browsers, so you will notice its effects no matter which one of them you prefer. We advise that you terminate Web-start.org as soon as you can. 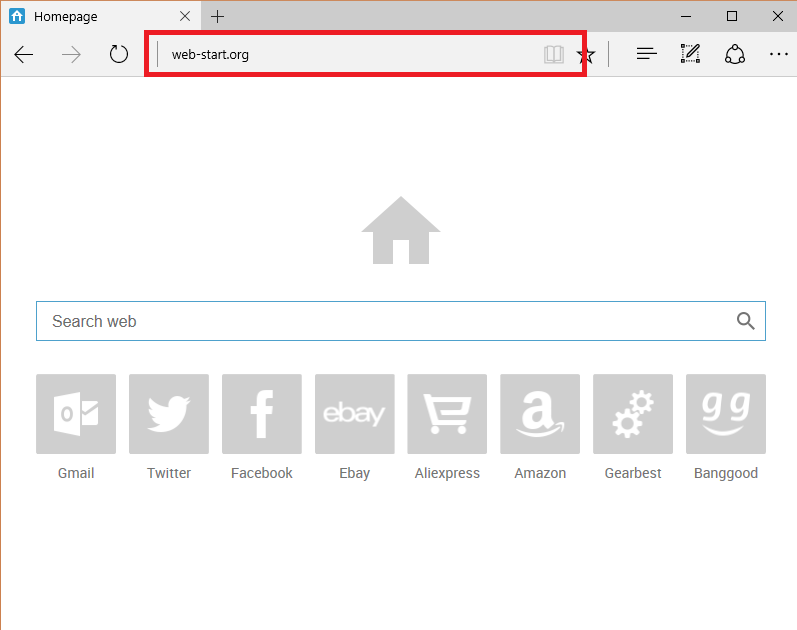 The hijacker replaces your home page and default search provider with Web-start.org. This page contains a search box and links to License, Privacy, and About. If you enter a query into the box, you may not get any results at all. The search engine does not always function properly. And even when it does, it may show you results that are filled with commercials. It is understandable that most computer users want to get rid of Web-start.org and go back to their original browser settings soon after the hijacker takes over. Another symptom of the hijacker that may concern you is that it can insert various advertisements into your browsers and cause unwanted redirects to its sponsors. We do not recommend trusting the commercials data that is shown to you by the hijacker. Some of the ads could be fake. Clicking on them may result in serious consequences including malware infections and financial losses. You should not take such risks. You should keep in mind that even the ads that look especially useful could be bogus. The hijacker tracks your cookies and personalizes your ads, which is the only reason some of them seem especially relevant. If you want to eliminate the unsafe commercial data from your browsers, you should not hesitate with Web-start.org removal. The sooner you delete Web-start.org, the better. Although the hijacker is not harmful itself, it does lower your online security level. It would be best to erase Web-start.org automatically. You can do that by implementing a malware removal tool from our page. The anti-malware utility will perform a system scan and detect all potential threats. It will then eliminate Web-start.org from your PC along with other detected issues. The security software will also protect your computer from future online parasites that you may encounter. Alternative solution is to remove Web-start.org manually. This can be done by uninstalling the program with which the hijacker arrived into your system and restoring your web browser settings.